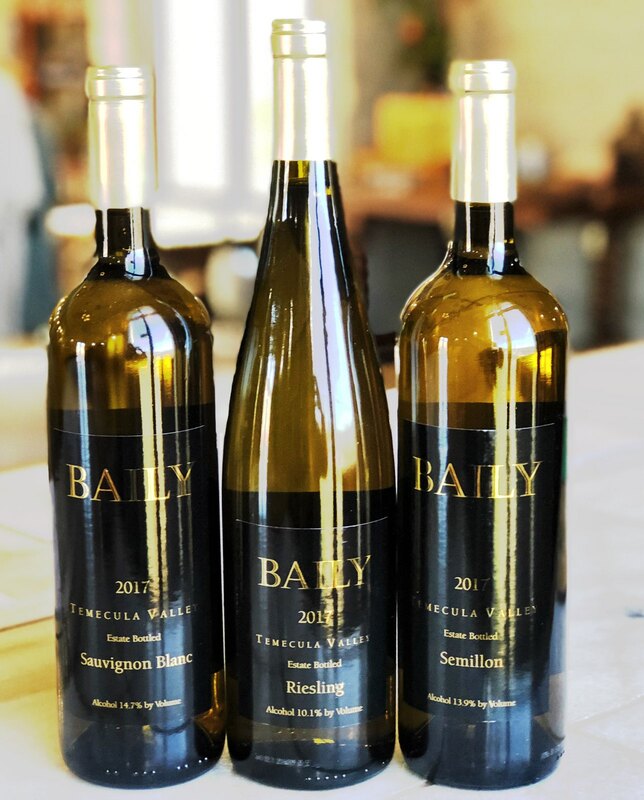 Ready for a new tasting experience at Baily Winery? The new 2017 white wine releases are here! 2017 Sauvignon Blanc – boasting crisp and light fruit with a touch of herbaceousness. Wonderful with slightly spicy meals, chicken, fish, or Caesar salad! 2017 Semillon – Lush ripe fruit with a lingering aroma of green apple and honey – typically blended with our Sauvignon Blanc as Montage, this year we’ve decided to let it stand alone. Pair with a creamy fettucini, or salmon alfredo! YUM! 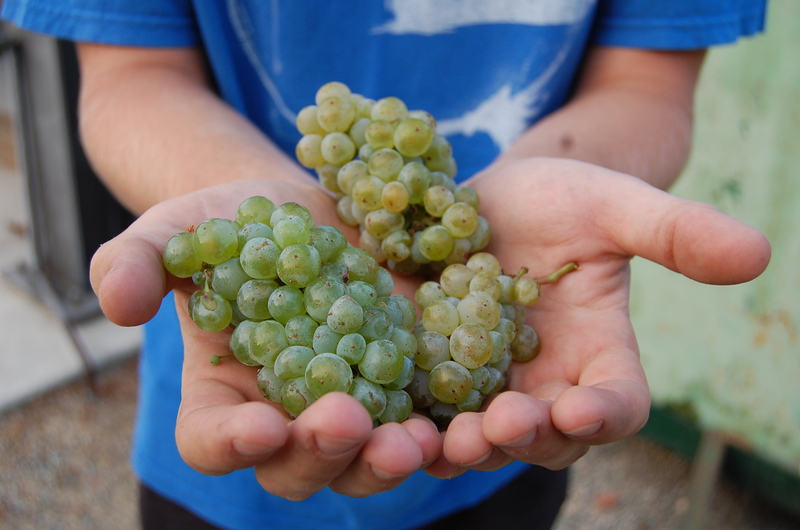 2017 Riesling – This vintage of Riesling is slightly sweeter than last year’s dry version. Perfect for warm Temecula summer days to share with friends poolside or at a picnic. Please welcome to the fold our newest Baily release, the 2014 Cabernet Sauvignon. 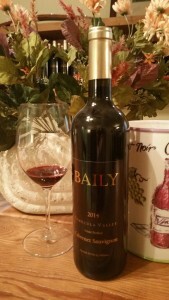 Bold, rich and velvety, with aromas of blackberry, mint, cloves and vanilla, with a long, smooth, clean finish. It is pleasing now with six months of bottle age and will continue to age gracefully, developing an increased complexity over the next several years. The grapes for this wine came from our Berenda Road (76%) and La Serena (24%) vineyards. 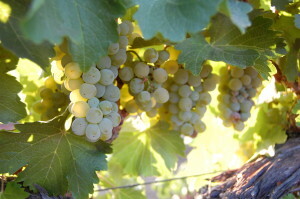 The Berenda Road vineyard is one of Temecula’s original vineyards, having been planted in 1968. We acquired the vineyard in the early ninetieds. All of the cuttings came from Wente Brothers in Livermore, which was expanding into Monterey County at the time and had the only large grapevine nursery in the state. The flavor, texture and color of the wine, and the source of the cuttings tell us that the grape is Wente (or Concannon) Clone 7, which was widely planted in the Napa Valley in the great expansion of the 70’s. The La Serena vineyard is the one surrounding our tasting room, so if you are having lunch in the pation at Carol’s you can look at the vines that helped us produce this wine. The grapes were picked from the La Serena vineyard on September 3 at a brix level of 23.0 and from the Berenda vineyard on September 9 at a brix level of 22.3. They were crushed and fermented in stainless steel tanks, pressed, and then after a period of settling, placed into 60-gallon oaks barrels in December 2014. Half of the barrels were new American Oak and half were three-year old European Oak. After 30 months in barrels, the wine was taken out, filtered, and bottled in June 2017. Alcohol is 13.8%, pH is 3.55 and total acidity is 6.7 grams per liter. 450 cases were made. The normal price for the Cabernet Sauvignon is $40.oo and the Cellar Rat (club membership) price is $32.00 and is now available for purchase at our tasting room and online store. Be sure to visit us over the holidays. We have several exciting things planned including the release of our 2017 Riesling, which is a little sweeter than the 2016. Since we still have a good amount of the 2016 Montage, we decided to bottle a Sauvignon Blanc and a Semillon by themselves for 2017. These wines will also be released in December. The Estate Tasting Room will be featuring a Port vertical as well as Cabernet Sauvignon. Call Lisa at 951-972-9768 for details and reservations. It’s early 1987. Our old tasting room is only reachable from Rancho California Road via 2 -1/2 miles of dirt road. I’ve peppered the countryside with unpermitted signs encouraging people to have patience and keep driving till they find us. We’re only open weekends; Phil covers the bar one day and I cover it the other. We get maybe a half dozen or so people each day. Our second wine, the 1986 Sauvignon Blanc is ready to be released. What to do to get people here? Why not free food? I started out with a plate of pasta, a mild cheese sauce, a few vegetables and a few herbs, and a bottle of the wine. Then we tasted the pasta/cheese sauce with various combinations of vegetables and herbs, followed by sips of the wine. Sautéed onions – they were too sweet for the wine. Cilantro – an herb we usually like a lot just didn’t help the wine. Asparagus – Sauvignon Blanc is often characterized by herbaceous flavors of bell peppers, grean beans and even subtle asparagus. While this wine wasn’t overly herbaceous, the asparagus definitely went with it. Bell pepper – a good match for the same reasons as the asparagus. Rosemary – much better flavor match than the cilantro, thyme, and zucchini. So I put together a nice cheese pasta dish with asparagus, bell peppers, zucchini, rosemary and thyme, sent out the word about the free wine and food, and voila! – a busy weekend with lots of people, one of whom was Barbara Hansen, a food reporter for the LA Times! An article entitled “Food Draws Folks to Family Winery” appeared in the Times not long afterward. And on the front page of the Food section, complete with pictures and recipe. We were on the map! Stay tuned, because in November we are going to do it again to celebrate our 30th anniversary and the completion of our 31st harvest! Maybe even the LA Times will come. As we celebrate 30 years of winemaking here in the Temecula Valley, we thought it would be appropriate to revive our monthly newsletter in the form of a blog, and share some remembrances of those years. In the next few months we will talk about the people who established this wine region and the people who helped and influenced us. We will also talk about the events that shaped our region’s development, the changes in wine making and viticulture practices, and our own development as wine makers and restaurateurs. This month I want to salute John Moramarco who was recently inducted into the Temecula Valley Winegrowers Hall of Fame and who, sadly, passed away not long after. John was Vineyard Manager and Senior Vice-President at Callaway Vineyard & Winery when we moved to Temecula in 1981, and we asked him if he would be a paid consultant to us regarding planting our first acre of grapes. He said he would be happy to help us, but not if we insisted on paying him. So we spent a few hours with him, driving around the vineyards, learning which grapes did well, about the soils, trellising, planting procedures, and so on. Over the years, we got to know him better and better, and our esteem for him grew and grew. Having grown up in a family grape growing business in Cucamonga in the 1930s and being a part of that business in the 40s 50s, and 60s, John had seen thousands of acres of vineyards succumb to the pressures of housing development, and he was determined that this wouldn’t happen in Temecula. When Temecula was incorporated in 1989 the city limits ended just at the entrance to wine country. The city put us in their “Sphere of Influence” which is a necessary first step to future annexation. Even though we had confidence that the City wanted to preserve wine country and not turn it into housing, John was vehemently opposed to annexation, rightly asserting that the tax structure of municipalities was inhospitable to agriculture, and that we should stay with the more compatible rules of the County. So the city took the unprecedented step of removing us from its sphere. At about the same time, Riverside County was updating its zoning and forming citizen committees from various areas to help draft regulations. Supervisor Kay Ceniceros appointed John to head up the wine country sub-committee, and John asked me to be a part of it. His obvious passion made him a strong leader and he was able to bring disparate interests (Homeowners, winery owners, grape growers, citrus growers, real estate agents, livestock breeders, et. al) to a common understanding. The result was the CV (Citrus Vineyard) zone, unique at the time because it allowed smaller parcels, encouraged the development of small wineries selling their products from their vineyards and allowed for other compatible commercial uses as long as 75% of the land was in agriculture. This framework developed in the late eighties is still in operation after almost thirty years, and it was John’s influence, foresight and leadership that made it happen. 40 wineries, three world class hotels, myriad restaurants and a Marriott resort in the works attest to its success.